Bay Tree Home and Décor have been clients of our since 2009. There have been a lot of changes over the years, from the addition of the coffee shop, Tea @ Bay Tree to the company being bought by new owners. 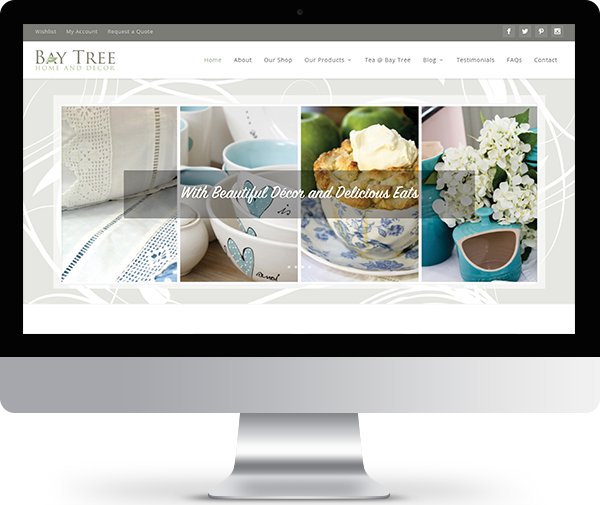 We have been avid Bay Tree fans from the start and love working with the brand. We designed the logo and have revamped their website seven times since we started working together. 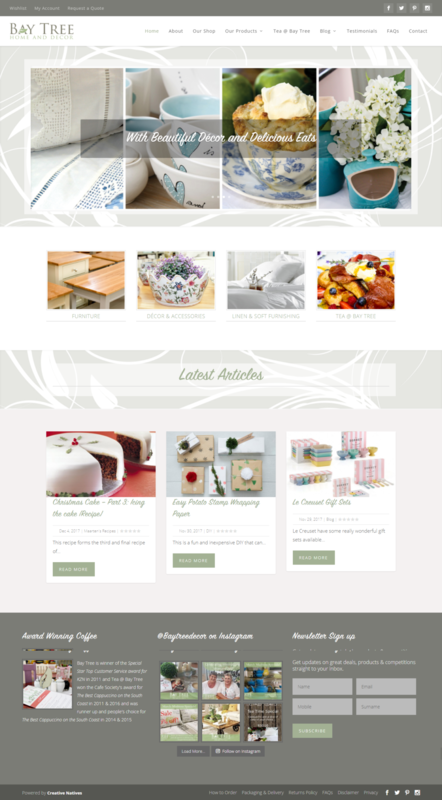 The website makes use of an online quote basket, customers can add items to it and submit it for a custom quote.